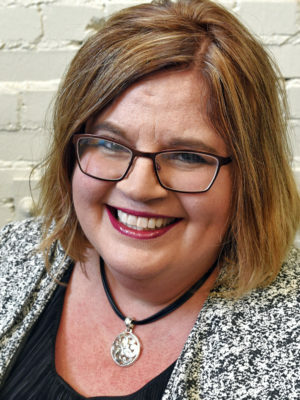 Lisa is an alumna of MU, where she earned her Bachelor’s of Business Administration and later earned her MBA from Maryville University — St. Louis. Lisa has maintained her Senior Professional in Human Resources Management (SPHR) certification since earning it in 1996. Lisa joined MU in March 2018 as the first-ever Equal Employment Opportunity and Affirmative Action Manager. In her role, Lisa serves MU by responding to external charges of discrimination and developing the Affirmative Action program to ultimately improve MU’s diversity profile. Lisa’s work leads her to consult with many administrators, faculty, staff, students, and community stakeholders to help improve their efforts to attract and retain diverse individuals. Lisa’s career journey began with an on-campus interview which started her 20-year career with McDonald Douglas, now The Boeing Company. She served in a variety of roles including: Business Analyst, HR Generalist, EEO/SS Specialist, Global Diversity and Employee Research Specialist, Ethics Officer, and Sr. Manager of Global Diversity and Employee Rights. In 2012, Lisa accepted the role of Director, Inclusion and Equal Opportunity for The Aerospace Corporation based in El Segundo, CA. During her five years as Director, Lisa developed and implemented the Inclusion, Diversity, and EEO/AA compliance strategy for the Corporation. This included critical initiatives such as: Diversity Recruitment, Affinity Groups/Employee Resource Groups, Harassment/Discrimination Prevention & Response, Affirmative Action Compliance, and community partnerships. Lisa is passionate about her profession! She loves to talk about her work, learn from others, and share ideas! Feel free to connect with her at any time!